I have an interest in alternative vehicles and power, and lately have been working with someone (Steve) who works for a company that I contract too. He introduced me to recumbent bikes. As a result of talking with him and research on the internet I have built my own HPV. 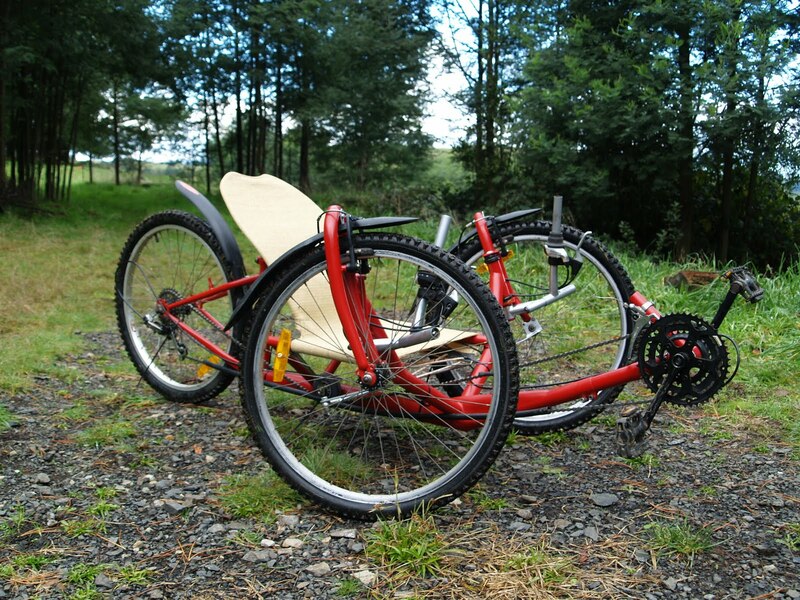 It's a recumbent trike which has been made from 2 donor kids mountain bikes reclaimed from the local waste transfer station. The wheel size is 24". It is mostly finished now, I need to get new road tyres for it as the existing nobbly off-road tires are severely deteriorated. I also want to fit some lights and other stuff to make it a bit more visible. I am hoping to use it for local trips in the area and work my fitness up to the point where I can ride it to town (it's a 30 minute drive through forest and farmland). I have not done a lot on the electric bike lately (I did have a sit on it the other day). We are looking at starting to build a house on our property and need to get started on building it before the end of the year, so unfortunately this will stop me from working on the electric bike for the most part, but I am hoping to build the inverter and start writing the software for it before the end of the year. I have purchased a few sample ATxmega processors from Farnell for the inverter.